...but it's bigger than that. It's one of a few restaurants in America that define American food. It's the flagship of the greatest West-Coast hot-dog America has ever created. 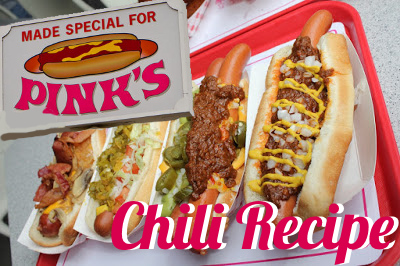 It all started with a simple food-cart and Betty Pink's chili recipe, a combination of stock, beef-fat, and flour which "stretched" portions keeping prices cheap (.10 cents a hot-dog) and gave the chili its unique texture and flavor which is synonymous with California hot-dog chili sauce. There is some irony in the fact my first book was a diet book, and I'm about to write about deep-friend candy bars. I suppose the best diet is a little bit of everything, and never too much of anything, but who the heck am I to say. Heck, I live in the U.S.A., where we feed our children square pizza in the cafeteria, and riot in the streets if someone tries to take our Big Gulp away. It's absolutely astonishing that the deep fried Mars bar was a Scottish invention when our American sense of entitlement demands everything is bigger and better in America. I mean, we have a restaurant in Texas (Heart Attack Grill) that gives free burgers to people over 300 lbs and whose spokesperson has died three time (three separate men). The theme of the restaurant features scantly clad nurses, and they even use the words cardiac arrest in the menu. 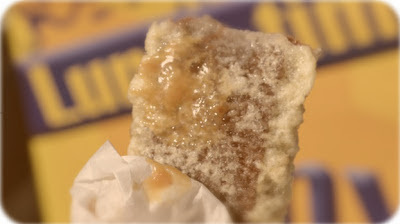 So why aren't deep-fried candy bars catching on in America like crazy? Can you die from eating chili? 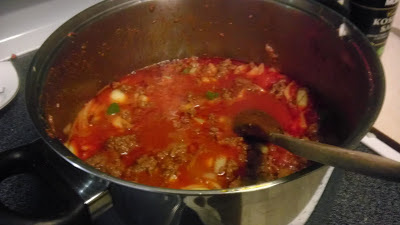 Apparently so; in my my quest for a championship five-alarm chili recipe of atomic proportions (and which tastes good), I spent sometime on the Internet discovering (and you can too) that several people have died, including chefs from the hot-pepper infused dish. There's the mom in jail for force-feeding chili to her child as a punishment (and who died), or the aspiring backyard chili feud between neighbors that killed one of its competitors, and many other stories of death by chili (and/or chili peppers). Someone on the Internet asked "Will it waffle? ", and began their downward spiral into multiple waffle iron ownerships like some scene out of the play True West with toasters. 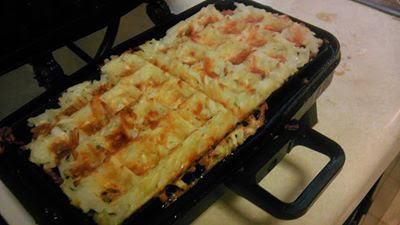 It's something the Belgians are kicking themselves for I suspect, the combination of shredded potatoes and a waffle iron? Sounds ingenious, right? However I found my first batch, based on Internet pictures didn't work. Waffle Makers, generally are built for cooking waffles. Mine, a somewhat commercial quality version has one heat setting, and has huge over sized waffle trays. Ideally it appears, a waffle maker with an adjustable thermostat may be a better option if you really want to continue to ask "will it waffle?" How to make the perfect scrambled eggs. 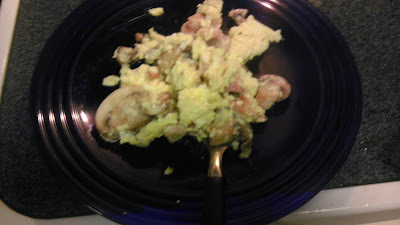 Scrambled eggs were one of the first things I ever learned to cook at home. The recipe was simple: butter, eggs, and milk- scrambled in a bowl, cooked over medium heat, and served with salt and pepper. Over the years I've heard tons of various, very adamant individuals (including professional chefs), declare their way is the only way to make scrambled eggs.